In 2006 I was fortunate enough to attend the premier of the long awaited Superman Returns in London’s Leicester Square. It was an amazing event that was quickly ruined by a film, that at the time I could only describe as boring and dated. I left the cinema that night feeling very disappointed and I cursed Bryan Singer for putting out such and unimaginative depiction of a modern Superman. Fast forward seven years later and the buzz is back. The newly anticipated Man of steel directed by Zack Snyder (300 and watchman) and produced by Christopher Nolan (Inception and Batman trilogy) is surly due to put one of the worlds most recognisable characters back in his rightful position. I have been a fan and collector of DC comics for a long time. I also respect both Zack Snyder and Chritopher Nolans past work despite the fact that their most recent movies have been quite rightly highly criticised for plot holes and poor scripts. Despite that the cinematography and direction that they can bring to the screen can be magical and inspiring. With that in mind I was excited to see what a collaboration between the two of them would look like. The film opens with a scene on Supermans home planet Krypton with Supermans father Jor-El (played by Russell Crowe, Gladiator) and mother Lara Lor-Van (played by Ayelet Zurer, Angels & Demons). Krypton is in danger of imploding due to its unstable nature of the planets core, from a result of extensive over mining of the planets resources. As a way of preserving their race Jor-El and Lara decide to send their only new born son Kal-El to earth. Meanwhile General Zod (played by Michael Shannon, Take Shelter) Has his own agenda and wants control of Krypton and decides to overthrow the council. His plan is thwarted by Jor-El when Jor-El steels the genetic codex (an instrument of all Kryptonian knowledge) and uses it to imprint all the memories and DNA of the Kryptonians into the cells of his son Kal-El before sending him to earth. General Zod kills Jor-El for this act and in turn he and his henchmen are frozen and detained in a blackhole for 30 years for murder and treason. General Zod vows to return after his sentence, find Kal-El and kill him. Krypton implodes and the story of man of steel begins. Some have criticised the thirty minute intro for being too long but I for one was glad of it. In fact I would have liked to have seen more footage of Krypton. Superman is an alien, Superman is a science fiction character and for me this is the first time I think that any of the films have tried to cement that idea into your mind in the way that this film does. Until I started reading comics when I was a teenager I didn’t think of Superman as anything other than American. The Krypton world is presented to us as a beautiful technologically advanced planet filled with imaginative architecture and futuristic concepts. I’m not sure how much thought went into the functionality for the technology in the set design, but it looks ascetically pleasing. There are also strange creatures that inhabit the planet, at one point Jor-El is flying on what appears to be some type of dragon like creature. I found this part of the film very engaging and would loved to have been able to submerge myself into it a little further before it was destroyed. One of the first things that I noticed when this film began was the lack of still mounted camera shots. The hand held camera feel is present throughout the whole film, giving you the slight feeling occasionally that you are watching a documentary or found footage at times. For the majority of the film this comes across as natural and unnoticeable but on the odd occasion, which I must say is rear, it feels a little forced. The film is beautifully shot throughout with amazing mixture of real film, CGI, visual effects and special effects. There is only the odd occasion where a shot would not look right, but for the most part I thought the effects complemented each other really well. The main bulk of the film is split into three different timelines cleverly spliced against each other that run parallel throughout the movie. The three time periods we see are a young boy version of Clark Kent growing up with his adopted parents John and Martha Kent (played by Kevin Costner and Diane Lane). Then a young man version of Clark Kent trying to fit into society and understand who he is. Then lastly present day Clark Kent (played by Henry Cavill, The Tudors) learning about his home planet his heritage and his new found responsibility as Superman. Each timeline depicts the struggles of Clark Kent aka Kal-El’s journey on earth to become the man he is destined to become. I really enjoyed this method of storytelling, I found that in this instance it served its purpose well. It felt different from the usual type of flash backs that are more commonly used in this genre. The scenes were well edited and each scene did not seem to drag on too much before returning us to the present time line. The cuts were used effectively to give the viewer either necessary exposition of the past events, or insight into the mind and the behaviour of the protagonist. it will be interesting to see if they continue this method in the sequels to follow. I respect the fact that some people might have found the cutting to and fro from different timelines in this way a little disjointed or distracting from the main story, but I felt it was one of the films best attributes. I thought the casting was great for this film everybody seemed invested in their characters and played their roles well. 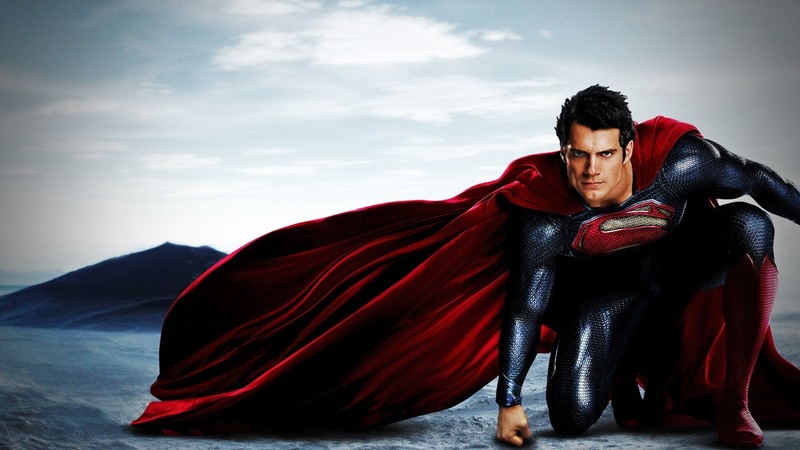 Henry Cavill with the superman suit on looked the part and I felt was believable all the way through. Unfortunately I think that most of the relationships and interaction between the characters are weak, which in turn makes them suffers and struggle to be authentic or relatable. I feel this could have been rectified with a stronger script. The action scenes in this film are amazing. Although you feel Christopher Nolans fingerprints all over the rest of the film, I have to give credit to Zack Snyder for the huge action sequences. Fast paced and a mixture of weapons and hand to hand combat with incredible flying choreography. If I accused it’s predecessor Superman Returns of having not enough action, in some ways one could argue Man of steel has too much. At times it does feel a little repetitive and chaotic but still beautiful to watch. The way Superman flys in this film has also been updated. the decision to have him break the sound barrier every time he takes off, is awesome. It looks good and sounds good. This is something that I highly criticised in previous Superman films. When I heard that they were not going to be using John Williams iconic superman score or theme song I was hugely disappointed. I have been humming that theme song as far back as I can remember. However I have to admit, after watching the film, I did not miss it like I thought I would have. I thought that Hans Zimmer who is more than capable and qualified to take on the task did a great job creating a score that was new but still ever so slightly recognisable as the iconic theme we have learnt to love. Having said all of that, its not all roses. There are also big problems with this film, mainly the script. Lets start with the dialogue. The script was written by David Goyer who also co wrote the script for Batman Begins which was also criticised as being clunky and dumbed down. He has also worked on other comic book genre films such as Blade and Ghost Rider. There are some dreadful lines in this film throughout and even with the drastic lack of humor in the film the cheesy jokes that they try to use just don’t land. Most of the characters seem to spell out everything they are about to do, and actions that we just saw them do. There is a major lack of ‘show don’t tell’ in this film which in some ways contributed in highlighting the point that there is also a lack of relatable characters for us to latch on to. Somebody really dropped the ball on this one. There are characters that almost die in this film that I found really hard to care about for even a second, due to the fact I knew nothing about them. It wasn’t just me though, Superman does not appear to care either. We witness building after building being destroyed during big fight sequences without a hint of concern on his face. The amount of people that would have died during those fight scenes would have been of epic proportions this is not reflected through superman or any of the other characters. From what I know of the character, It’s unlike Superman to just not give a damn. For me though that wasn’t the worst part. The relationship between Superman and Lois was not believable at all. They went from the beginnings of a professional working relationship to being madly in love with each other within seconds. There was no real buildup or chemistry between the two characters apart from them holding hands a couple times. When the two kiss at the end of a huge epic battle scene where millions may have just lost their lives, it comes across as forced and completely insensitive. This kiss could have been delayed and placed suitably in the sequel once we have had the chance to see them establish and develop a relationship that’s believable. The length of the film was not too much of an issue for me however I think younger audiences under the age of ten may find it difficult to stretch their attention span for the two hours and twenty minutes. Considering how long the film is I think more of that time could have been spent developing other characters that we were supposed to care about. For example when John Kent (Supermans adopted father) dies in a tornado by sacrificing himself to save the family dog, I didn’t feel a massive emotion of loss like I know I should have. Further more it is not entirely clear why John does not allow Clark to help, seeing as he could have retrieved the dog in one second without anybody noticing. It was a poor plot devise in my eyes that ultimately did not pay off. In other adaptations Superman learns from Johns death that you can’t save everybody, at some point everybody dies. In this film sacrifice seems to play a big role and superman blames himself for not saving John. Speaking of sacrifice, that reference pops up again and again. It’s no secret that in the past Superman has been compared to Jesus Christ, and in this film there are three blatant attempts at continuing that theme. Two of them actually take place in a church whilst he is asking a priest for guidance. The other one was even more disturbing. There is a scene when he is in space and he is about to fly back to earth but before he does he floats backwards with his arms stretched horizontally in a crucifix type pose for about five seconds before turning and flying away from camera. I did not find any of these scenes necessary or subtle. Despite my small grievances with the film overall I enjoyed it, and I would recommend that you watch it. I found it exciting, fast paced and huge in scale. The best Superman movie to date in my opinion. I would gladly pay to watch the sequel. I commend the film makers for taking risks by changing some of the most iconic definable things that we have come to know about Superman. The fact that there is no Kryptonite mentioned no Lex Luther (apart from LexCorp truck getting destroyed) no John Williams score, no little black hair curl in the middle of his forehead and no red pants on the outside of the trousers all contribute to a fresh rebooted Superman. Hopefully they can learn from any mistakes made on this film and give us an even better sequel. One thing that I did want to finish with that I found very interesting is that we don’t get to see the nervous awkward journalist Clark Kent that we all love and know from the original motion picture. Apart from the very last scene where he arrives at the office for his first day at work with his famous black specs, we have no idea of how Henry Cavill Is going to portray that important side of Supermans persona. I would argue that giving a convincing performance of this side of the character is somewhat a more challenging role to convey and one that I think the late Christopher Reeves understood and played so well. I think I will judge Cavill’s Performance of Superman once I have seen him play both sides of the character. Even though this film is entitled Man of steel I would argue that this film was very much an origin story for Clark Kent more than it was for Superman. It is not often that I go to the cinema to watch a horror movie due to the fact that most of the contributions to this genre in recent years have been so poor. I have never been a huge fan of the slasher flick revival which dominated the horror scene in the 90s and early 2000s with such films as Scream and I know what you did last summer. With the exception of the first installments of Saw and Final Destination I have not enjoyed any of the recent titles. I much prefer my horrors to be super natural. Movies such as Poltergeist, The Omen and Amityville were far more frightening to me when I was younger than Friday the 13th or Halloween. So imagine my excitement when I saw a trailer for Mama advertising a supernatural horror that will have you scared out of your seat. When I sat down in the Shaftsbury avenue Cinema to watch Mama, other than the fact that it was produced by Guillermo del Toro who’s work (Pans Labyrinth, Hell Boy) I have enjoyed in the past , I knew nothing else about the movie. The cinema was reasonably seated not too packed and it was an early day time viewing. I was ready to be scared or board whichever came first. Mama directed by newcomer Andres Muschietti,tells a dark tale of two little girls who are left to reside in the woods after the tragic death of their parents.Years later they are Rescued by their adoring uncle played by Nikolaj Coster-Waldau from TV’s Game Of Thrones and his far from maternal bass-guitar playing Goth girlfriend (Jessica Chastain, Zero Dark Thirty). The children’s time in the woods have transformed them from beautiful sweet little girls to feral frightened wild animals, and despite their abandonment they do not appear to be alone. Forever cared for by Mama.The overall story becomes a touching tragedy between a mother separated from her child and her desperation to be reunited with him. Mama lends itself to the old fashioned style of horror film making, less on the gore and more on the scare tactics, which I for one am glad of. Clever usage of light and sound is all that is needed to have you holding your breath and burying yourself into the pit of your chair. On numerous occasions screams could be heard from around the room at parts where the tension was just too much to contain. What the film does very well is it holds the suspense of the audience from the opening scene up until the reveal. Even after the reveal the film engages us in a thrilling dramatic conclusion. The film looks very slick but not too stylised in any particular way. 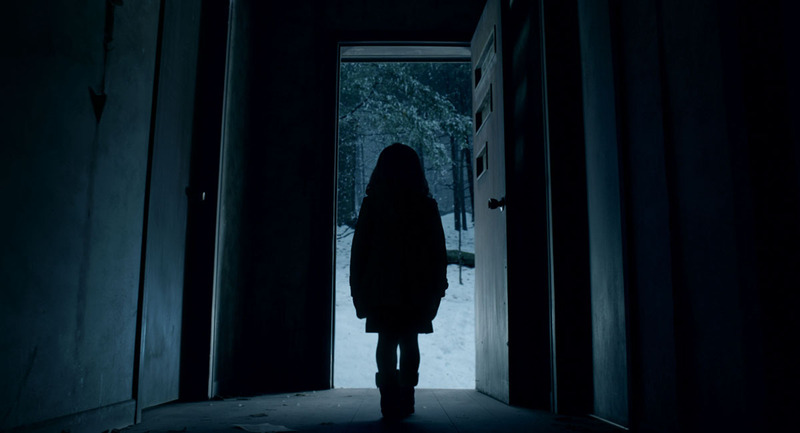 It’s like the director set out to make a text book well made horror without taking any real risks with the cinematography. In some ways that complements the simplicity of the story itself. There is very little development of the characters which leaves you feeling a little disconnected at times and possibly is the films biggest downfall. I would have liked to be a little more invested in the characters but there was very little to go on. I would argue that some of the child acting in the film is not up to par and is a little cringe worthy at times but not too distracting to become unwatchable. Jessica Chastain does her best to tie things together and keep us engaged with this newly formed family. There are a few times where the film becomes very didactic in places and finds itself telling rather than showing us what it wants us to know. There are moments where I felt myself rolling my eyes because of this approach. Depending how invested you are in the narrative and how open minded you are as a person will determined just how believable the plot is. The CGI used for the Mama character is not bad at all, its usage other than towards the end is in moderation. One thing that the film does do well is to have a consistent presence of Mama even when she is not present on screen. Overall I found the film enjoyable and scary at times. I was not blown away by this film but did find it really refreshing and genuinely haunting throughout. I am not saying that all audiences will love this film but its definitely a step up from some of the recent installments in this genre. I would recommend you view this in the cinema for the full effect of the sound and lighting to appreciate it fully.